Home » K2 » K2 2017 Coverage » K2 2017 Season Coverage: K2 Summits!! K2 2017 Season Coverage: K2 Summits!! 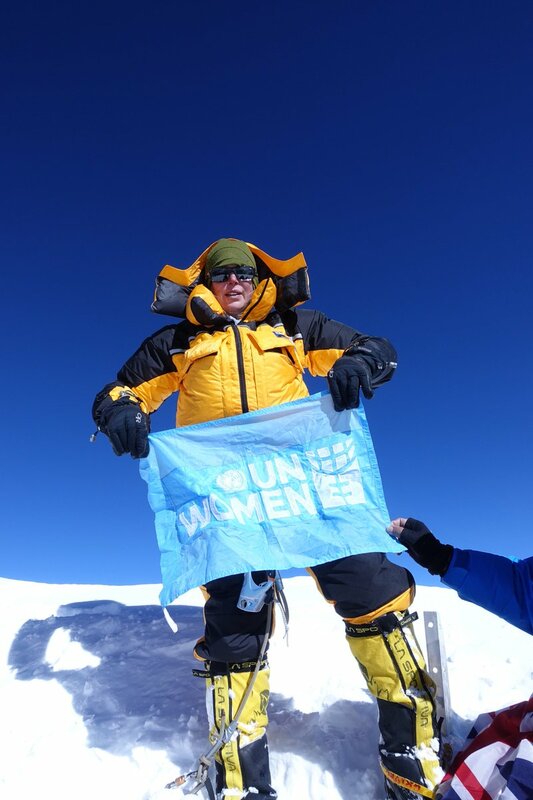 Perseverance and courage has paid off for Mingma Gyalje Sherpa’s Dreamer Destinations’ team. 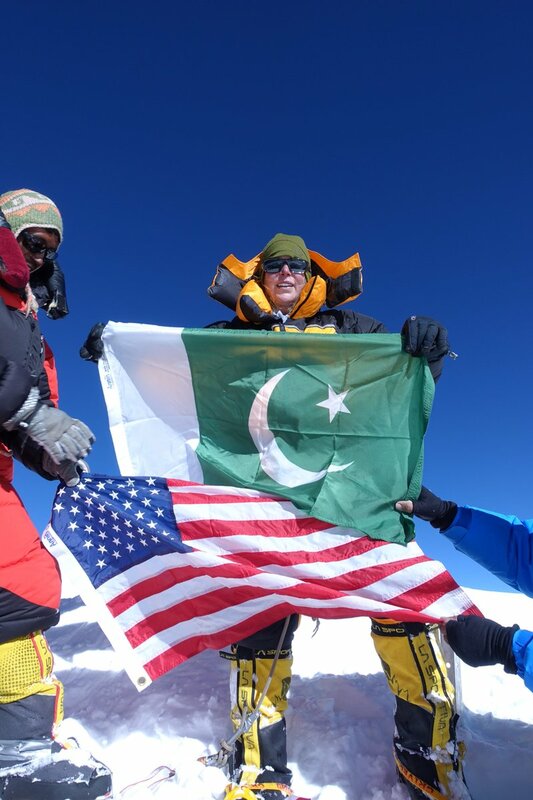 They put 12 people on the summit of K2 – the first summits since 2014. 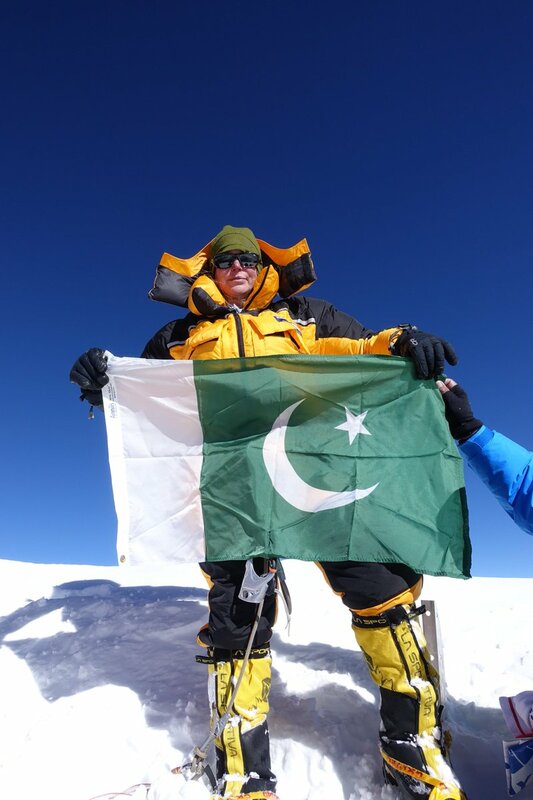 There was another summit of Broad Peak and Russell Brice, announces he’s ending his guiding career. I have written a lot this season about risk tolerances, differences of opinions and the willingness to continue when others turn back. So in that environment, Minga deserves tremendous credit for showing the leadership skills to push his members to the summit in what other highly experienced operators determined unacceptable conditions. 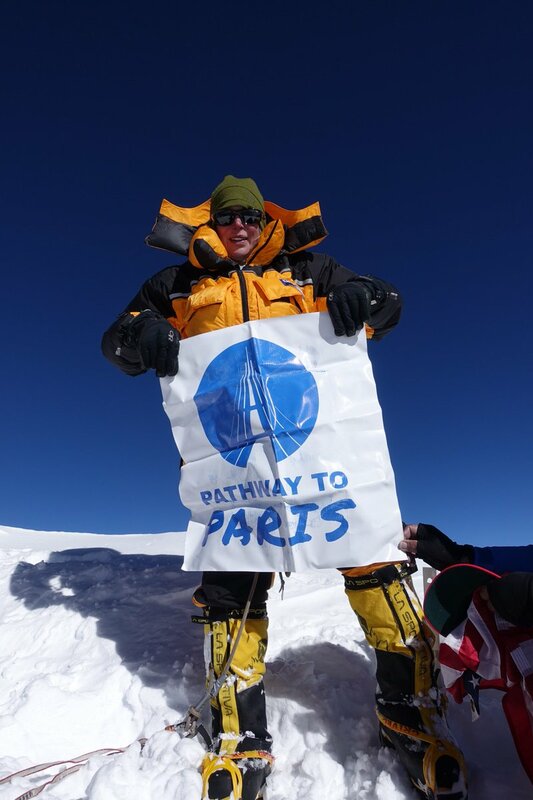 As I outlined in the previous post the Sherpa on this push were highly experienced with over 35 summits of Everest between them. There was several feet of fresh snow so the Sherpa’s strength to break trail was required for anyone to summit this season. They were the engine behind this summit train. They started with 9 Sherpas but only 7 summited. A sincere congratulations to all these climbers. They spent over 16 hours to reach the summit, an extraordinarily long time. In 2014 we took 8. They summited at 4:00 pm local time and descend to Camp 4 for the night. They hope to get to base camp on the 28th. 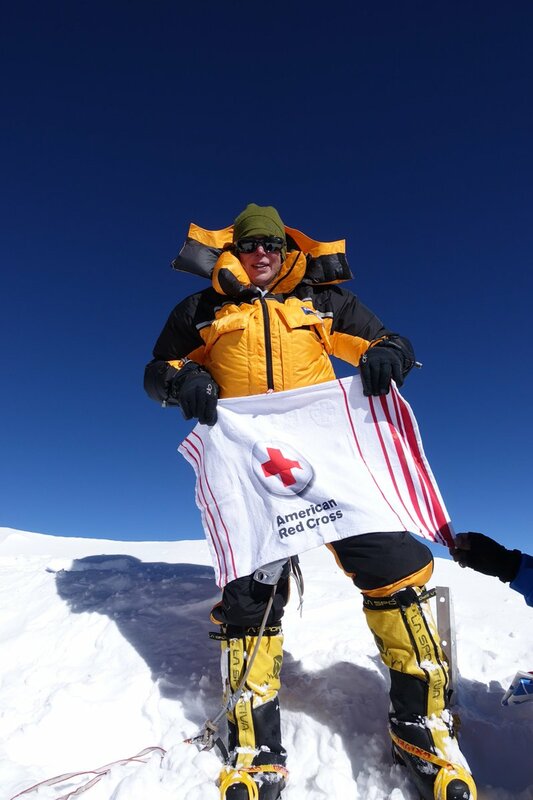 Icelander John Snorri Sigurjónsson becomes the first from his country to climb, and summit, K2. 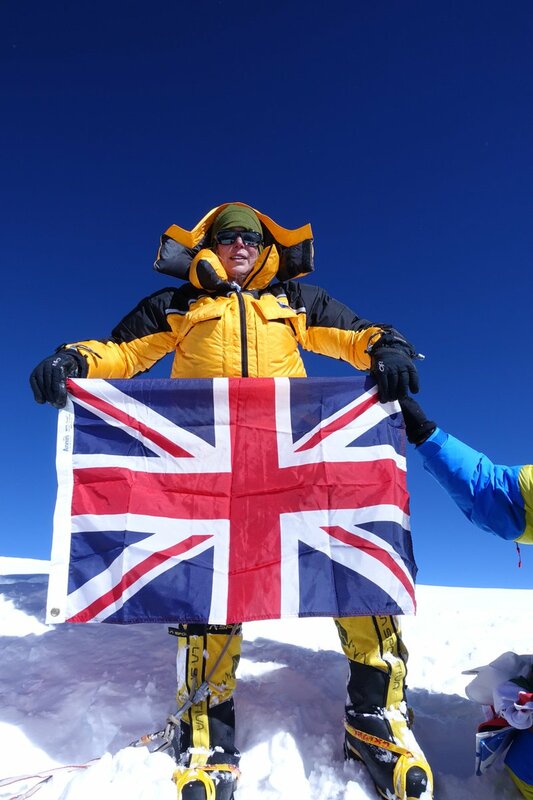 British-American Vanessa O’Brien will begin to claim that she is the first American Female to summit. Well done to both! To say the obvious, they now must descend. If the weather remains good, this will take a day or more. To be clear, they are not safe yet, by any measure. The descent from the summit is difficult, arduous, tiring and dangerous, It involves rappelling many sections where you must rig everything 100% perfectly. A mistake will cost the climber their life. It appears they are back at Camp 4 at 25,080’/7600m. The summit is 28,251”/8611m. And there were more Broad Peak summits on this good weather day. This time by Chinese climber Mrs. Lou Jing with two Sherpas: Nurbu Sherpa and Sanu Sherpa. Russ prides himself in reading weather forecast and giving his member the best, safest opportunity to summit and get back safely. It was this study of the facts that lead him to cancel this year’s K2 attempt. I have know Russ for over 10 years. He is the best of the best. I want to thank him for his tremendous contributions to defining a commercial guiding culture of safety and integrity. I wish him success in his future, including, hopefully, guiding on Everest in 2018! 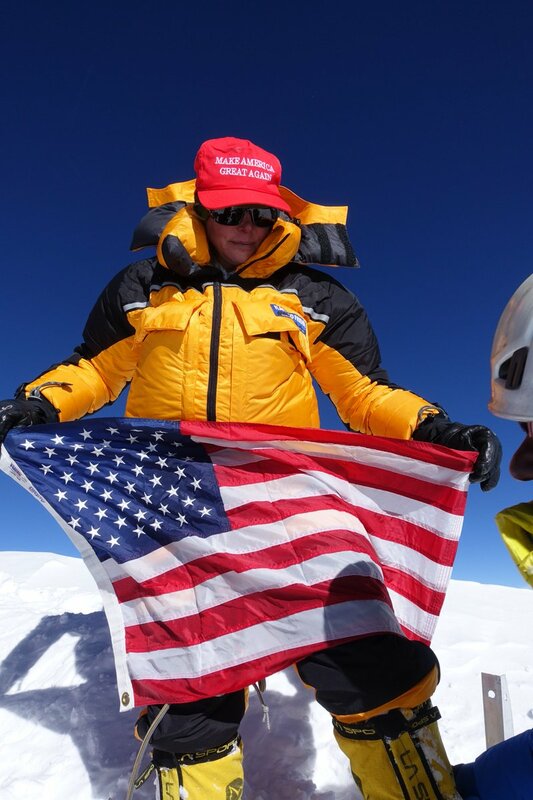 Vanessa O’Brien will be remembered as the woman who carried the biggest pile of cloth [flags] to the summit of K2, and the only one to showcase her support for POTUS [above 8600 m] who doesn’t even give a hoot about climate change. Why can’t mountaineering be kept apart from politics, patriotism or nationalistic fervour? We know, it all started with British obsession for Everest, Germans undying love for Nanga Parbat, and Italian’s obsession with K2 [after the defeat in World War II]. To the contrary, the Polish mountaineers were restricted by communist controls and were not permitted to climb anything abroad other than the Tatra Mountains. * Two of the great mountaineers with astonishing records, Reinhold Messner and Jerzy Kukuczka, climbed for their love of mountaineering with no regard for any nationalistic pride. Frankly I don’t have an opinion about Vanessa’s politics & I wouldn’t have noticed unless you pointed it out. Now that you have pointed it out though I think she (like 65 million other Americans) were entitled to hold that opionion. You’re wrong however with your main swipe at Vanessa. She will be remembered for a monumental achievement first & foremost. Here’s wishing her all the luck on the descent as we have sadly lost too many Female summiters on their way down from the top of K2. I say this as a proud Brit – she carries dual nationality I understand. For what it’s worth, I doubt she even carried her GPS, let alone the flags. I am still thrilled that K2 was summited this summer. Any word yet if all made it down safely? John Snorri’s GPS’ appears to locate him at base but Vanessa Obrien’s GPS seems stuck at Camp IV since yesterday. And, thank you Alan for your detailed updates- so meaningful given your first hand experience in those mountains. Very shocking to hear about Russell brice. I hope that this is just regret for his members and a bit of hurt pride for deeming it too dangerous where others prevailed. He may have saved lives. Some of his members may not have made it back down. He surely would’ve been criticized had that happened. Russell you are a legend. Do not quit now!!! Brice should never feel bad for putting safety first. We killed 7 astronauts when that policy was subjugated on STS-51-L. From my encounters with Russell, nothing but hard respect. Congrats to the Dreamer Destinations’ team – gutsy call. Unfortunately, the Pakistan military will reward the Sherpas on their way back to civilization. How Do you mean they will be rewarded? Is that because the Pakistani military prefers climbers to use hap instead of sherpa?